Does fish oil really have any side effects? Although it benefits human beings a lot, fish oil does have certain side effects and should be taken with care! Before getting to know some of the fish oil side effects, you have to know more about fish oil, like its benefits and usages. Fish oil has become a popular supplement for athletes, as well as those looking to improve their overall health. Many claims have been made regarding the improvements to the body which can be made by using fish oil to increase the body's level of fatty omega-3 acids. Some of these claims have been backed up by studies, while others have not been proven with significant scientific evidence. There are also some precautions that need to be addressed if you will be taking fish oil regularly. People with certain health conditions may see a worsening of their symptoms if they increase their intake of fatty acids too quickly or with the wrong products. Fish oil is a concentration of the omega-3 fatty acids that can be obtained by eating fatty fish such as salmon, tuna, mullet, mackerel, trout or herring. 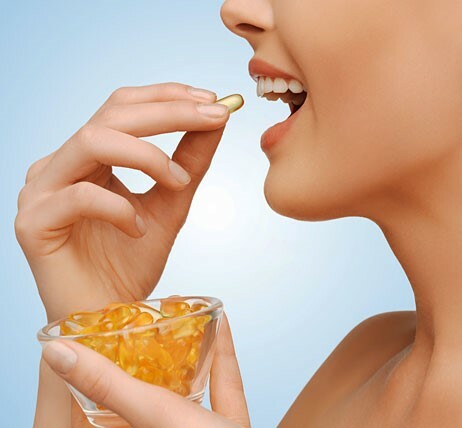 Fish oil can also be gained by taking supplements which also contain other nutrients such as vitamin E, B1, B2, B3, A, C and D.
In many cases, people are recommended to consume fish oil because it is an easy way to get additional omega-3 fatty acids into their diet. Omega-3 fats can be used to reduce swelling or to prevent blood clots which could cause major cardiovascular damage. There are many other conditions which can be decreased or improved with the use of fish oil. In most cases fish oil is used to help reduce high triglycerides which can cause serious conditions like diabetes or heart disease. Fish oil is also commonly used to treat conditions such as Rheumatoid arthritis, high blood pressure, ADHD, menstrual pain, hardening of the arteries or kidney problems. These conditions can be improved by improving blood flow, which omega-3 fatty acids in the blood stream. There is also some evidence that fish oil may help with conditions such as chest pain, liver disease, migraine prevention, gum infections, breast pain, and muscle soreness due to exercise, skin rashes and stomach ulcers. Some people who are hypersensitive to fish or have a known allergy to fish products may have a negative reaction to fatty acids which were derived from fish. Some fish oil tablets are also produced with alpha-linolenic acids which come from nuts, which may aggravate those which have an allergy to these products. In many cases these allergies will manifest themselves as a skin rash, but the symptoms could be more severe depending on the severity of your allergies. People with this concern will need to avoid using these products. In some cases, fish oil pills may cause loose stools, nausea, diarrhea, and decreased appetite, fat in the stools, vomiting or constipation. These side effects can be minimized by taking a fish oil capsule that is coated, which is designed to help eliminate the "fish burps" many users complain about. Starting with low doses of the supplement and working up to a full dose can also help minimize side effects. You can also pair fish oil supplements with meals so that they enter your body more slowly, minimizing the risk of side effects occurring. 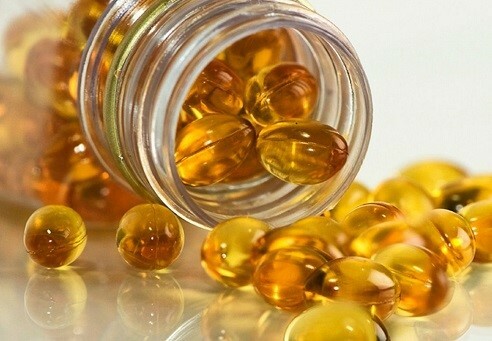 Additional side effects of fish oil supplements which have been reported include headache, short-term memory loss, depression, somatic disorders, and increased risk of colon cancer, nasopharyngitis, worsening of asthma symptoms, hemolytic anemia, decreased physical activity, increased appetite, a general uncomfortable feeling or increased blood pressure. The percentage of users that develop these side effects is not known. If these side effects become severe it is recommended that you stop using fish oil supplements. Now that you've known the major fish oil side effects, you should be careful when using fish oil. Excessive amounts of chemicals. Using excessive amounts of fish products such as shark, farm raised salmon or mackerel can be dangerous. These products may be exposed to excessive amounts of chemicals such as mercury which can build up in the body and cause negative effects. While it is healthy to consume fish, it is important to seek out quality sources to avoid exposure to these chemicals. Using a supplement to get high levels of omega-3s into your system is also recommended because these products are produced in such a way that they will not expose you to unsafe chemicals. Causing unsafe conditions. Fish oil may increase the risk of bleeding, which can lead to an unsafe condition. Excessive bleeding inside the body may also lead to conditions such as ulcers or liver disease which could be quite dangerous. Be aware of the signs and symptoms of this condition such as bruising easily or nosebleeds which could be a sign that you are developing this condition. If you begin to bleed more easily than usual then you should reduce the amount of fish oil you take regularly to reduce this condition. Unsafe for children. Fish oil supplements are not considered safe for children. Too much of this fat in their system can lead to a chemical imbalance in the brain which could stunt healthy growth and development. Because of this, and the possible exposure to polychlorinated biphenyls, methylmercury and other toxins which are found in some sources of fish, it is not recommended that women who are pregnant take excessive amounts of fish oil. Servings of fish should be limited to six ounces per week and they should refrain from using fish oil or other fatty acid supplement pills. Children should not consume more than two ounces of fish per week to avoid overexposure to these chemicals. Now you know although fish oil can benefit human beings a lot, fish oil side effects should never be neglected for the sake of your safety.